I’d like to give a shout out, and I hope you’re all basking in the Light that was forged on May 20! It’s been a whirlwind of a week for me; I was introduced to Adrial (of the Starship Athabantian) a week ago, and Adrial is sure keeping me busy! I have a few posts coming up, and what I’ll do is just place those posts on that site, and share the links here in STC. As an introduction, I just posted to All About Enlightenment, and that explanatory post is here. “C, We’d like for you to try an exercise sometime when you’re online. Please have a pendulum or pendant nearby, and search the terms “after Raphael Genesis” (all together). Please trust that you will be led to the correct way to do this. “If possible, please allow Ghost Radar to run while you do this. “Also, before you do this, please try to clarify with your pendant how to use it as a pendulum. Hold it with the thumb & fingers of your left hand, and ask it to show you a ‘yes’ and then a ‘no’, then ‘confusion or uncertainty’. Please allow the pendulum time to transition between answers. “Now, back to the exercise. Please look at at your online search results until your intuition draws your focus to a name or story. Please trust your intuitions, regardless of whether the attractions seem logical or related. “Please choose 3 of the results, and just follow links and read as you feel inclined. “Try to find an hour in which you can do this [stranger visitor taken Russian]. This exercise has (at least) 3 purposes or foci of development. What you are looking for us evidence that you [dry] feel intuitively, of how there are connections between the things you discover. 3. The actual information gathered through your online research. “Because you were religious in your lifetimes with Passhena Vitu, you will find intuitive explanations by connecting bits of information gathered from religious resources. “Once you understand better your current role for helping others in Ascension, you will have fewer doubts and headaches when you perform your work. You will allow all your talents to blossom soon (within the next few months). Please trust your intuition above all. To begin, please set the intention for how long you would like your mediation to last. If you need to, use a timer, but if it has a harsh sound, please muffle the timer so that you may arise from meditation as gently as possible. 1. Passionate interests: Call to your mind what you feel is your most burning urgent question personal question at that moment. Do not judge based on perceived importance of the issue. This is not an end unto itself, it will begin to lead you deeper into your own understanding of your work. 2. Please examine your question carefully, to make certain it may be focused on your own spiritual progress. If it’s tainted by a tone of gossip or comparison to another person, or a selfish interest, this method will not likely help you. 3. Sit comfortably and relax. Please ensure that your spine is straight in a side-to-side manner. 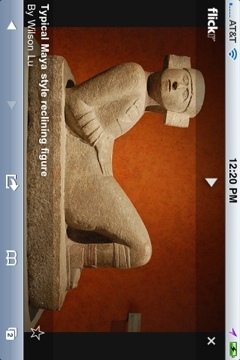 You may recline. If you do, please prop up your knees and back. This will help with alertness and clarity. 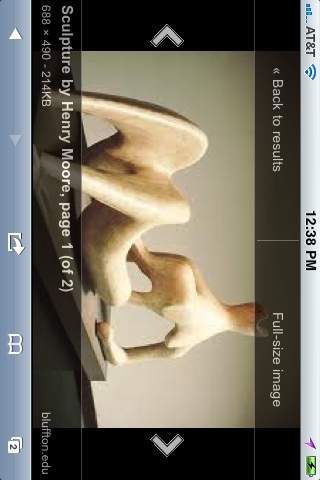 Think of the classic Mayan reclining pose, and Henry Moore’s sculptures of reclining women. If you are sitting upright, please adjust your body so that You feel your spine is balanced, without need if support. 4. Now please close your eyes and mentally state your intention to learn more about your lessons and roles in this life. Focus on your pineal gland, behind your eyes in the center of your head, and, without straining, try to keep some if your attention there while you allow your body to relax and become filled with white light. 5. If imagery, sounds or glimpses of thoughts enter your mind, please try to follow them as best you can. 6. Please continue this following for the length of your meditation time. Try to follow in a relaxed manner, as if you’re an observer watching a video. This exercise may seem to present the opposite of vipassana or mindfulness meditation, but it us a powerful way to train your mind. In this exercise, instead of trying to empty the mind, you’re following, but with intent concentration, as if following the plot of a story. Some sessions may take you quite deep, and some may just seem to flit around. All results will bring benefit. You also may notice that you find yourself as if awakening from mini-dreams while you’re meditating. When this happens, please try to recall the “dream”, and mentally recount it to yourself to strengthen your recall. For some souls who have only just awakened, their reality has been shattered and for a while they will cling to what they believed to be the truth. It is important that they realize that the coming changes are not to be feared. Also that it is not too late to alter their pattern of thinking to allow their consciousness levels to be lifted, and place themselves on the path to Ascension. It is not necessarily a matter of how much you know, as your understanding that progress will be made by living from the heart and not through the ego. Be humble and see yourself in every other soul, and treat them as you would yourself be treated. One of the main frailties that humans have is being judgmental and if you can work towards being non-judgmental, you will have travelled a long way towards lifting yourself up. God has provided for every soul but left the choice up to you, as to whether you wish to ascend or continue your third dimensional experiences. It may not seem so, but you have all had the same opportunities to change the course of your life. It comes down to wanting to change, and taking the responsibility for your own spiritual evolution. Once you make that decision you will never travel alone, but that help is lost unless you put the effort in to setting yourself a goal. Time is short and very soon there will be great revelations about the true purpose of life, and most importantly, establishing the truth about The One God of your Universe. God is not the sole property of any religion, but God to every single soul and each one is a godspark in its own rights. The whole purpose of your many lives is to experience and take it back to the Godhead. Since you have been granted freewill to do so, God does not chastise or punish you, and allows the Laws of the Universe to apply the necessary teachings that will help you over any mistakes you have made. Dear Ones, your wait is nearly over as the final arrangements are made to go ahead with the arrests of the Illuminati. It is something of a military operation, but their presence will only be to help our allies if they are violently opposed. As far as we are concerned, the activities are planned to be non-violent and legally supported and enforced by Law Marshals. That much many of you are aware of through keeping up to date with the news coming out from many reliable sources. However, as always discretion is called for as the truth will often be countered by disinformation, or denial by those who have different beliefs. Once we can speak openly to you, you will soon accept our messages as you will intuitively know that they are true. Since we have been in contact since the mid 1900’s it is not as though we have suddenly come into your lives. Through us and various spiritual societies we have as it were, been breaking the ice that has concealed the truth. It is our wish that extra effort is put in by those who are in the forefront of the spiritual vanguard, to do all possible to get the news out of the pending changes. People will hear of some aspects without being sufficiently informed to avoid becoming fearful. Naturally they will have many questions, and this is where you can come in and be of great help. Physical changes are necessary but will not be as catastrophic as the original prophecies suggested. They were given in accordance with the probabilities that existed at that time. We are pleased to inform you that consciousness levels have lifted up so much in recent times, that physical changes will be much less volatile. As we have often advised you and will repeat that if you are concerned about where you are, sit quietly for a while and intuitively check it out with you Higher Self. Until the governmental changes you will be unable to trust official reports, as they are still influenced by those who want you to remain in the dark. A perfect illustration of this is the US Governments recent denial of us and our craft, notwithstanding the fact that we have met with them on many occasions. However, it makes little difference in the long run as when the timing is appropriate, we shall ensure that the official announcement acknowledging our presence goes ahead. That will signal the beginning of a close association between us and you, that will carry on through Ascension and into the next cycle of your evolution. With our allies help we are laying down the foundations for your elevation into the higher dimensions. You already have one foot in them and as you raise your vibrations, will readily take to the changes. In effect, you will have nothing taken away from you that is not replaced by something better. Bear in mind that the ultimate goal is to turn you into Galactic Beings. In some ways it is as well you do not have instant recall of previous lives, as it would probably pre-occupy you when you should be concentrating on your future. Furthermore, you would not necessarily recognize yourself as the same person you are now, as you will have evolved and become more of the Light. Just imagine how much experience you have gained, and how it has molded you into the person you are today. Do not worry if you still have baggage to release, and use your self control to overcome it. If you aspire to lift yourself up you will never be without help, even if you are unaware of it. Angels and Guides accompany you through the physical world, and are doing all they can to make sure you fulfil your life plan. You can help yourself by acknowledging their presence and call upon them if you need their help, as they cannot “interfere” unless you do so. There are exceptions as for instance if you are in danger, they are allowed to help you through such difficulties. That absolutely applies if your life is threatened, and it is not your time to leave the Earth. It is almost certain that many of you have escaped some danger without even realizing how you did so, and probably put it down to luck or sheer coincidence. I am SaLuSa form Sirius, and can you see now how important you are to us, and how you are being safely guided to completion of this cycle. It may sound odd given that you exist in the lower dimensions, but the Universe depends on you to reach the end time through Ascension. It awaits Man’s great fulfilment and ascendancy to the higher dimensions, the place that is your real home. Speaking for the Galactic Federation, I can tell you that we love you all, and see you as your Higher Selves without a blemish, standing in the pure Light of Love.